Made famous by iconic artists such as Andy Warhol and Roy Lichtenstein, pop art continues to rise in value as highly-sought after pieces sell for millions of dollars. On November 8, 2011, Lichtenstein’s “I Can See the Whole Room!…and There’s Nodbody in It!” sold for $43 million at a Christie’s art auction. Created in 1961, the four-foot by four-foot graphite and oil painting depicts a man looking through a hole in a door. While certainly an incredibly valuable work of pop art, that isn’t Lichtenstein’s only piece to sell for many millions. In November, 2010, his cartoon-style 1864 painting called “Ohhh….Alright….” was sold for $42.6 million at a sale at Christie’s in New York. Prior to that, in 2005 his “In the Car” painting was sold for $16.2 million and in 1989 his “Torpedo…Los!” painting sold at Christie’s for $5.5 million, a record sum at the time, making him one of only three living artists to have attracted such huge sums. 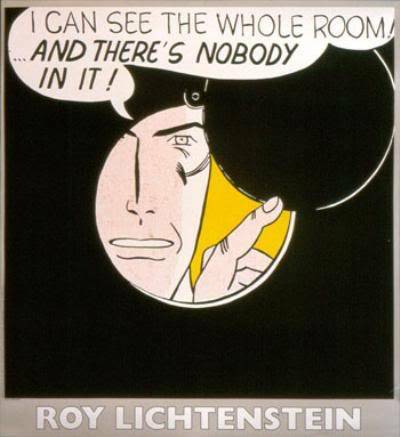 Lichtenstein passed away on September 29, 1997. Last year, Christie’s auction house revealed that revenues from contemporary art sales rose 9%, with pop art in particular being the most profitable. Pop art pieces by Andy Warhol and Mark Rothko also were sold last year at Christie’s auction bringing in $38.4 million and $33.7 million respectively. In contrast, auctions for Impressionist and modern pieces have reportedly not been doing as well, declining approximately 28% with Pablo Picasso’s “Femme assise, robe bleue” selling for $28.9 million in London last year. While certainly still and impressive and hefty price still, comparably, it’s a decline considering a Picasso painting called “Garcon a la pipe” sold in May, 2004 for $124.3 million.